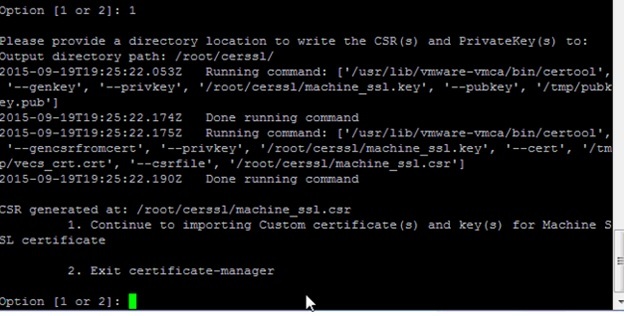 ← Creating a new Template for vSphere 6.0 to use for Machine SSL and Solution User certificate. Replacing vCenter 6.0 SSL Certificate. 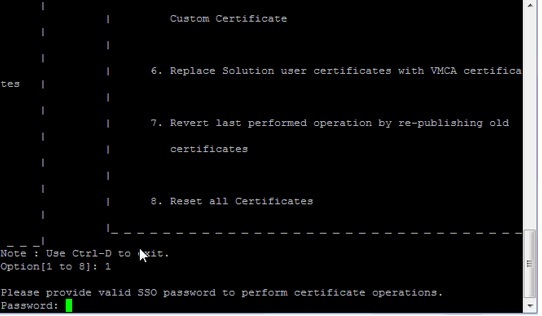 To generate the certificate we need to have Microsoft Certificate Authority server with the vSphere 6.0 Template for SSL Certificate.Pls check my other blog on creating the new template for vSphere 6.0. Before proceeding to change the certificate, make sure to update the VC\PSC to the latest update from the VMware ( VCSA U1b or U2 ) and check my other blog for the bug details in the older version and also i have pointed below the changes we can notice while doing it using the latest code. In vSphere 6.0 and later, the VMware Certificate Authority (VMCA) provisions your environment with certificates. This includes machine SSL certificates for secure connections, solution user certificates for authentication to vCenter Single Sign-On, and certificates for ESXi hosts that are added to vCenter Server. In this blog we can see how to generate the Machine SSL Certificate . The machine SSL certificate for each node is used to create an SSL socket on the server side to which SSL clients connect. The certificate is used for server verification and for secure communication such as HTTPS or LDAPS. All services communicate through the reverse proxy. For compatibility, services that were available in earlier versions of vSphere also use specific ports. 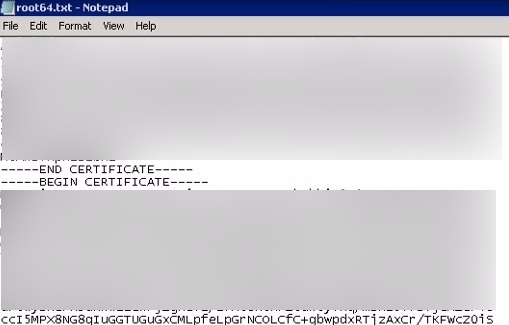 For example, the vpxd service uses the MACHINE_SSL_CERT to expose its endpoint. Every node (embedded deployment, management node, or Platform Services Controller), has its own machine SSL certificate. All services that are running on that node use this machine SSL certificate to expose their SSL endpoints. ■ By the reverse proxy service on each Platform Services Controller node. SSL connections to individual vCenter services always go to the reverse proxy. Traffic does not go to the services themselves. ■ By the vCenter service (vpxd) on management nodes and embedded nodes. ■ By the VMware Directory Service (vmdir) on infrastructure nodes and embedded nodes. VMware products use standard X.509 version 3 (X.509v3) certificates to encrypt session information that is sent over SSL between components. To generate the certificate we need Microsoft Certificate Authority server with the vSphere 6.0 Template for SSL Certificate. First create the folder under root on both PSC and VC appliance – /root/cerssl . Pls check the blog to transfer the file using the Winscp . First we need to generate the CSR ( Certificate Signing Request ) for the Machine SSL which we get when we open the vSphere Web Client in a web browser. Run the below command to Generate the CSR in PSC first. In VCSA U1b update VMware added the below option to provide more details as per our environment. Once CSR is generated then exit by option 2. Now login to the VC and do the same steps , only extra step is it will ask to provide the PSC IP address . Exit the Certificate Manager by option 2. Next step is to move the Machine CSR to the local machine by using the Winscp. Next step is to login to the internal certificate issuing server. Click on Request a Certificate. Click the below option Submit a certificate by using the 64-encoded. Open the CSR file which downloaded using Winscp and copy the clipboard. 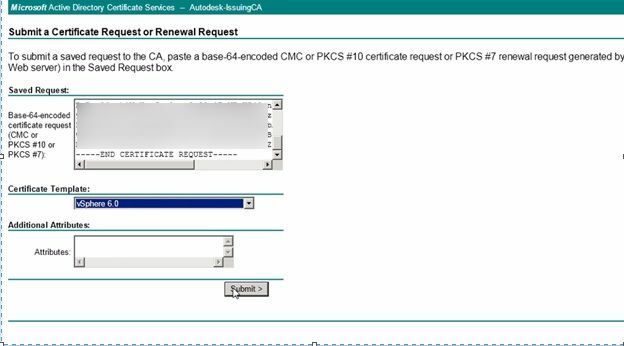 Paste it on the below option Base-64-encoded certificate request. 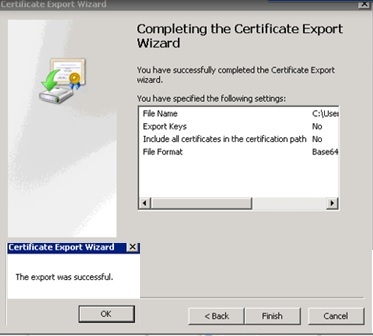 Next Select the Certificate Template which we created before vSphere 6.0. Next select the Base 64 encoded. Rename the file to the appropriate node name. Next Download the Download Certificate chain. First right click the Primary CA – All Tasks – Export. Once done next again open the same chain file and select the subordinate CA .and export the same and save it as subca.cer. Note:If we have only one CA then no need to do these steps. Rename the rootca.cer and subca.cer to text file. Create the new file called root64.txt. Open the rootca.txt , Copy the content and pate it in the root64.txt. Now open the subb.txt , Copy the content and pate it in the root64.txt below the rootca content. Make sure there is no space left in the txt between rootca and subb content. Do the same steps to other PSC and also for the VC. After successfully saving and exporting the root-64.cer file, it’s time to upload it to PSC\vCenter. Here I’ll use WinSCP again to copy the machine_ssl.cer and root-64.cer file. Select “Y” to continue the operation. This may take a few minutes, depending on how your systems are configured. 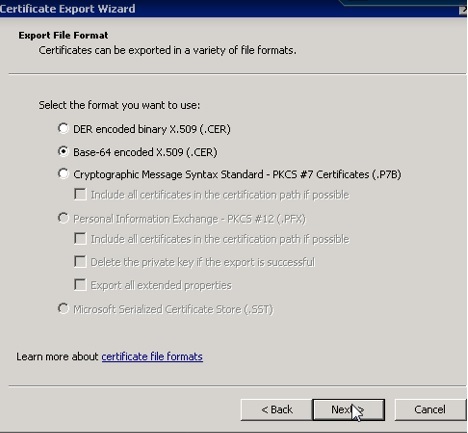 After all the services are restarted then do the same steps to import the certificate using Certificate Manager Utility. Verify the certificate by login to the we console of the VC https:\\FQDNVC:9443 . 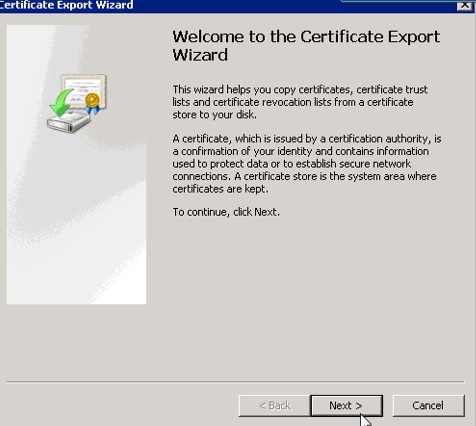 Also check this blog for options to check and alert the vcenter certificate expiration. This entry was posted in Certificate, High-Availability, vCSA 6.0, VMware and tagged certificate, Replacing vCenter 6.0 SSL certificate, vCenter 6.0 SSL Certificate, vCSA 6.0. Bookmark the permalink. 3 Responses to Replacing vCenter 6.0 SSL Certificate. You do understand that the Base 64 encoded crt file is public information, there’s no reason to censor it.